At EF, our work changes lives for the better – we help people of all ages and nationalities become a citizen of the world. This “for profit, for good” ethos is what motivates our teams to do better work every day and drives our business to grow year on year. 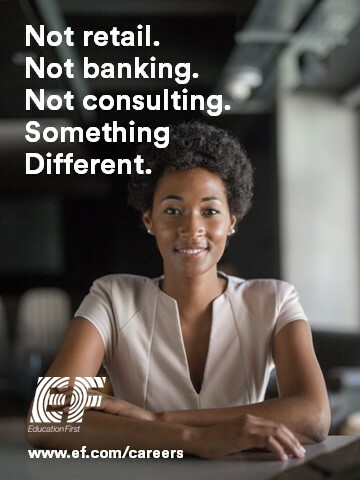 A career with EF combines the support and opportunity of a large organization with the spirit and energy of a small company. We look for thinkers and doers – people who are excited about making an impact – all over the world.